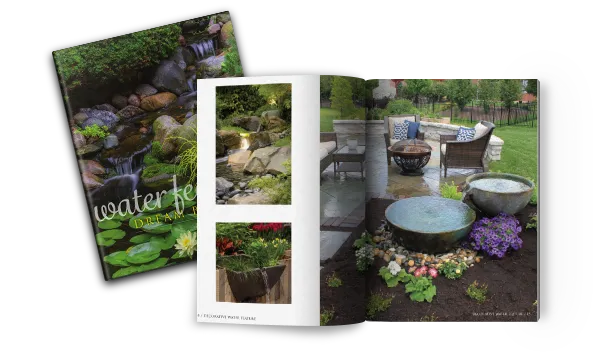 Take a walk through the Aquascape catalog to get a scope of all of the pond supplies and products that we offer. From water treatments and fish food, pond maintenance items and over 100 must-have decorative water features to choose from. You may either click the cover images below, to view an interactive version of the catalog, or the link to download your own copy. Aquascape Product Catalog – U.S.